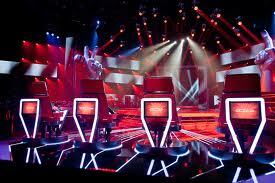 I’m getting really excited because the new season of, “The Voice,” kicks off tonight! Every time I watch that show I get to thinking about what it would be like it they had a reality show about writing? It might not be as exciting to witness as, “The Voice,” but I’m thinking what would it be like to go into a room with four authors or publishers sitting with their backs to you and you had to read to them from your manuscript. Then, when the lights are down low, and the world is watching, you are standing on the stage, reading, one of them presses their button and their chair turns! Yay! Now, you get to work with them on your manuscript and they mentor you on your next step in your writing career. How fun, right? I really think this kind of practice could be applied to any art – musicians, watercolors, scrapbooking….anything. My husband plays guitar. I’m thinking the same situation for him, but the chairs hold people like Stevie Ray Vaughn, Eric Clapton, and Roy Buchanan. What kind of artistic talent do you have? Would you try out if they had a show for your talent? 5 Responses to American’s Next Top Writer! Haha – yeah, not sure how exciting that would be! You have an intriguing idea for a reality show. With so many aspiring writers in the blogosphere, you might just have a hit. You should pitch it to Hollywood before somebody else steals your idea. That’s so nice of you to say, thank you, but honestly not even sure how I would do something like that. You know? What if Stephen King was on there? That would be creepy!